On Thursday afternoon Ranking Member of the Senate Judiciary Committee Dianne Feinstein announced she had received a letter from a woman about Supreme Court nominee Brett Kavanaugh. She hasn't shared the letter with Republicans on the Committee, including Chairman Chuck Grassley, but she has turned it over to the FBI. “I have received information from an individual concerning the nomination of Brett Kavanaugh to the Supreme Court. That individual strongly requested confidentiality, declined to come forward or press the matter further, and I have honored that decision. 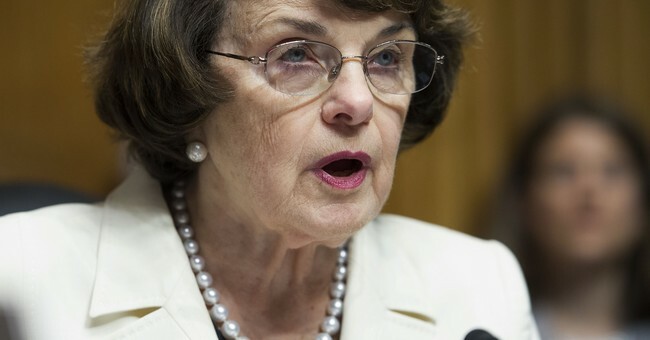 I have, however, referred the matter to federal investigative authorities," Feinstein said. So there’s a super secret letter, not shared w/ R’s, that cannot be commented on by the people confirming its existence — & could involve an alleged incident (no details) that might or might not have occurred in the early 80s, when Kavanaugh was in high school. Seems legit. ?? According to the New York Times, the letter contains information about an incident involving Judge Kavanaugh and a woman...when they were in high school. Two officials familiar with the matter say the incident involved possible sexual misconduct between Judge Kavanaugh and a woman when they were both in high school. The information came in a letter, which was first sent to the office of Representative Anna Eshoo, Democrat of California, and included the allegation of sexual misconduct toward the letter’s author, a person familiar with the letter confirmed. Feinstein knew about this "allegation" in July, but is only bringing it forward now. She also didn't bother asking Judge Kavanaugh about it during his public confirmation hearing or during a private meeting with him in her office. The White House is slamming Democrats and reminding Americans Kavanaugh has been thoroughly vetted by the FBI. “Throughout his confirmation process, Judge Kavanaugh has had 65 meetings with senators—including with Senator Feinstein—sat through over 30 hours of testimony, addressed over 2,000 questions in a public setting and additional questions in a confidential session. Not until the eve of his confirmation has Sen. Feinstein or anyone raised the specter of new ‘information’ about him," White House spokesperson Kerri Kupec released in a statement Thursday afternoon. The Judicial Crisis Network, which has prominently backed Kavanaugh's nomination, is doing the same. Republicans on the Judiciary Committee are also pushing back. Meanwhile, Senate Democrats have deployed an additional delay tactic by issuing over 1,200 written questions to Kavanaugh after days of open testimony last week.